Robert Alter (Professor Emeritus at the University of California, Berkeley) is one of the best-known names in Biblical Studies. His popular book The Art of Biblical Narrative has influenced a generation of readers to value the literary artistry and unity of the Hebrew Bible. Prof. Alter has published extensively on ancient Hebrew prose and poetry, alongside studies of Kafka, Stendhal, and other modern literature. 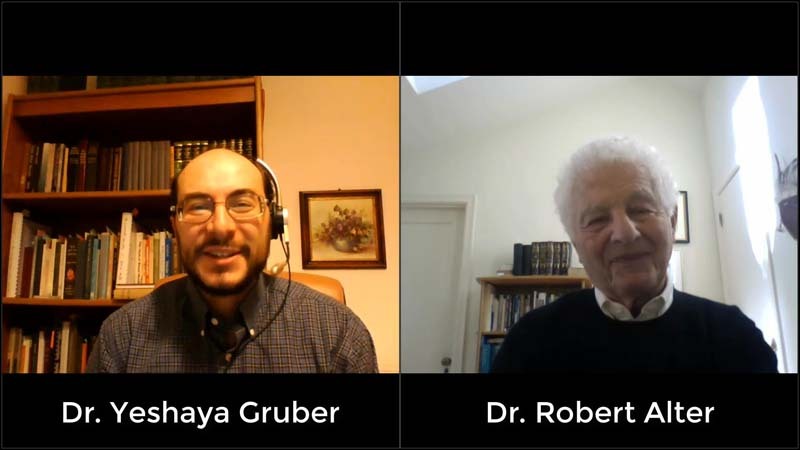 In this interview conducted by Dr. Yeshaya Gruber of the Israel Bible Center, Robert Alter discusses his own newly completed translation, The Hebrew Bible: A Translation with Commentary, first published in its entirety in 2019. Join us to hear a deep perspective on the intricacies, nuances, and challenges of trying to convey Biblical literature in English.